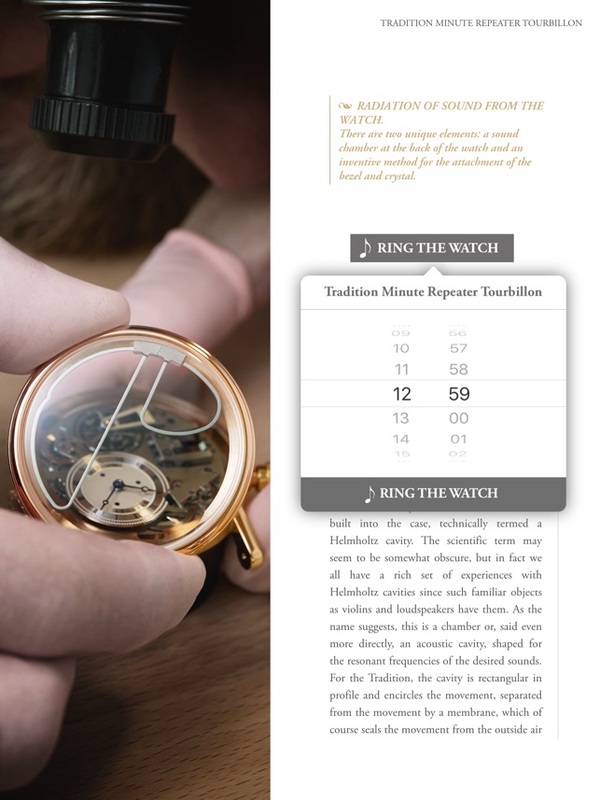 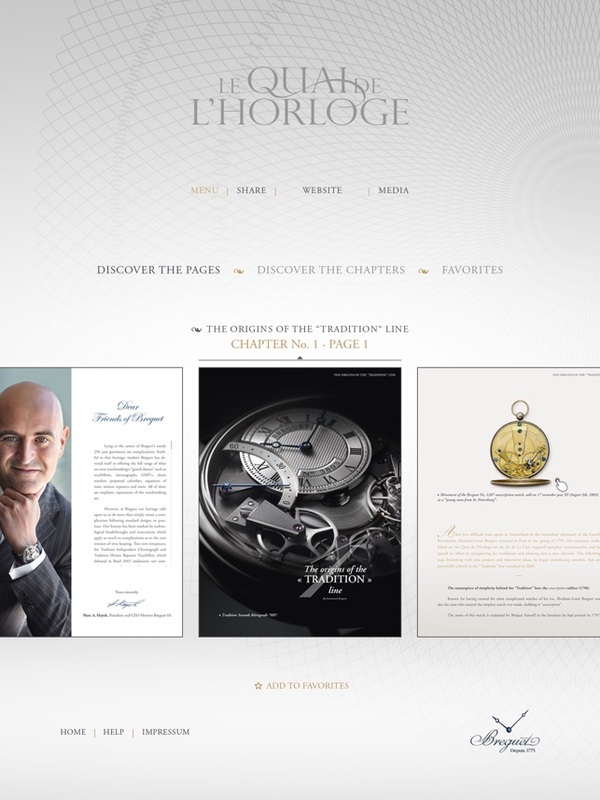 The annually published corporate magazine Le Quai de l'Horloge offers an immersion into the Breguet universe through historical, cultural and technical articles enhanced by a wealth of illustrations, videos, 360° panoramas and audio animations. 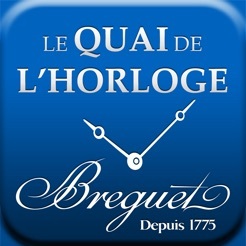 "Le Quai de l'Horloge" magazine legitimately retraces the era and the life of the brand founder, his legendary inventions and the horological treasures that have made Breguet an integral part of the European cultural heritage. 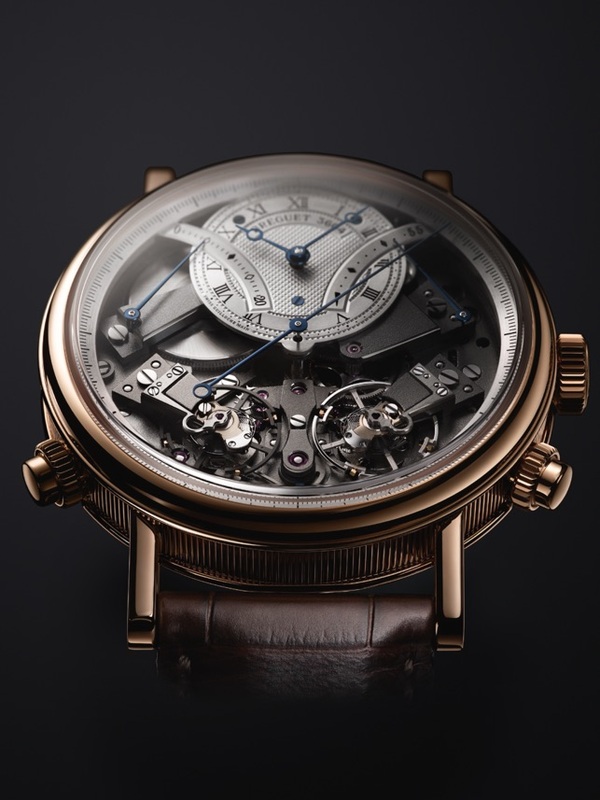 It provides crucial insight into the philosophy of the brand today, along with its daring projects, developments and technical challenges that are reaffirming its benchmark status and its pioneering role in the art of Haute Horlogerie. 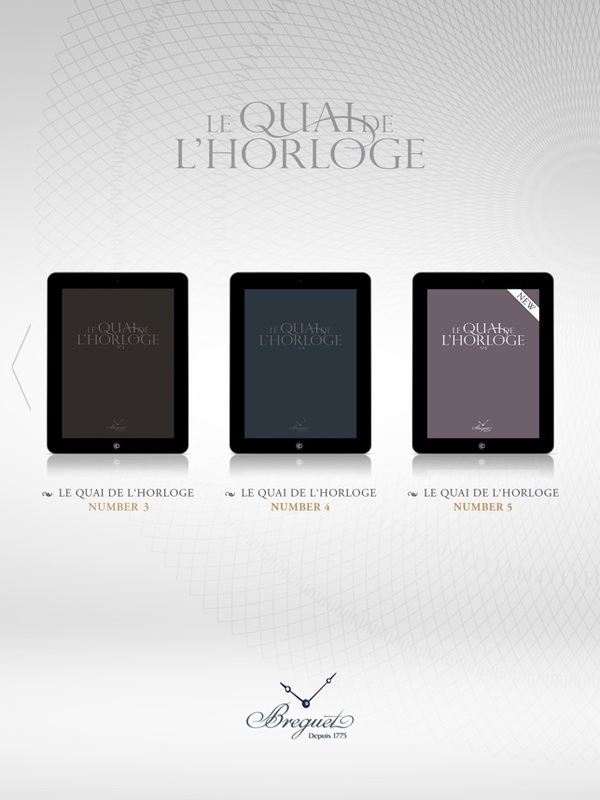 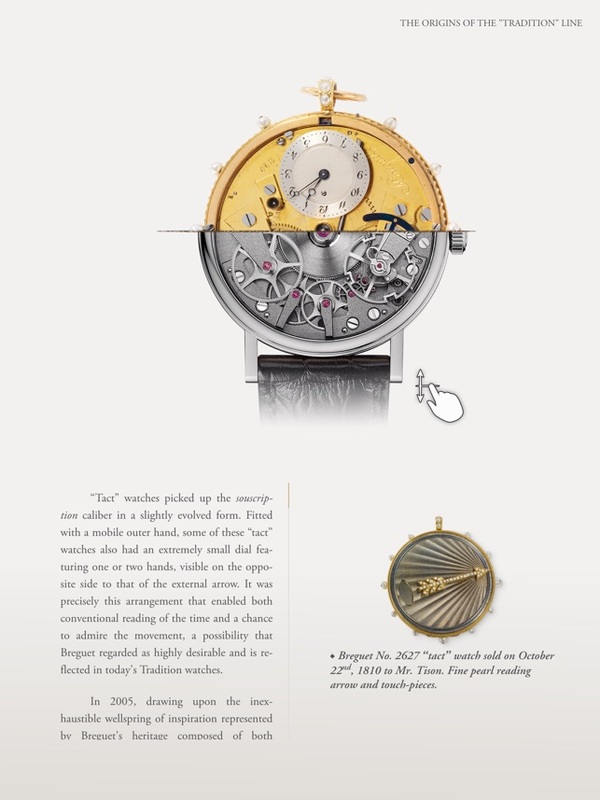 The application « Le Quai de l’Horloge » now includes the 6th edition of the magazine.